Participants from last year's Darba Waħda session in Dingli. 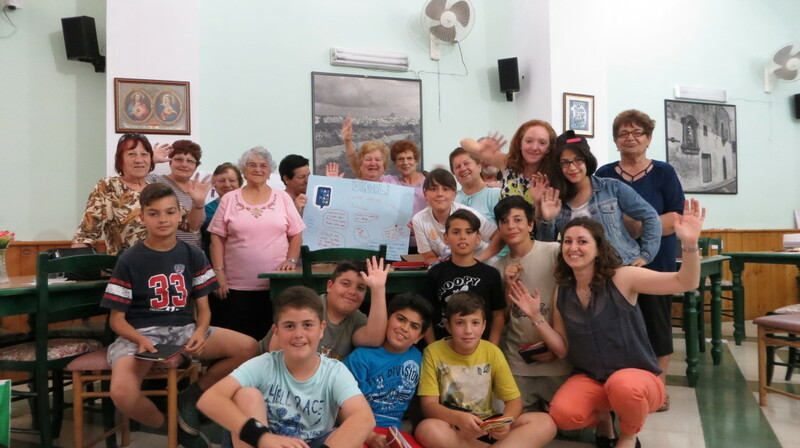 Darba Waħda bridges the generation gap between children and the elderly. Registration to participate in Darba Waħda is now open. Darba Waħda is a Valletta 2018 project which seeks to bridge the generation gap between children and the elderly through storytelling, drama, games and other fun activities. The free sessions, which are led by applied drama practitioner Anna Formosa and which are starting in March, are open to children aged 9 to 12 and adults over 60 hailing from the following localities: Marsaskala, Żejtun, Żabbar, Sliema, St Julian’s, Siġġiewi and Żebbuġ. Localities will be grouped together and will be held in spaces located in the area. Session for Marsaskala, Żejtun and Żabbar will take place at the Ċentru Ċiviku, Żabbar; sessions for Sliema and St Julian’s will take place at Ċentru Titu Brandsma in Balluta; while those for Siġġiewi and Żebbuġ will be taking place at the Ċentru Ċiviku, Siġġiewi. Sessions will run from March to May: St Julian’s sessions will be held on Tuesdays, starting 1st March; Żabbar sessions on Wednesdays starting 2nd March; and Siġġiewi sessions on Fridays starting 4th March. Those interested in joining should register by contacting their local council. Transport to and from the venue will be provided.